Keeping South Africa on the move! 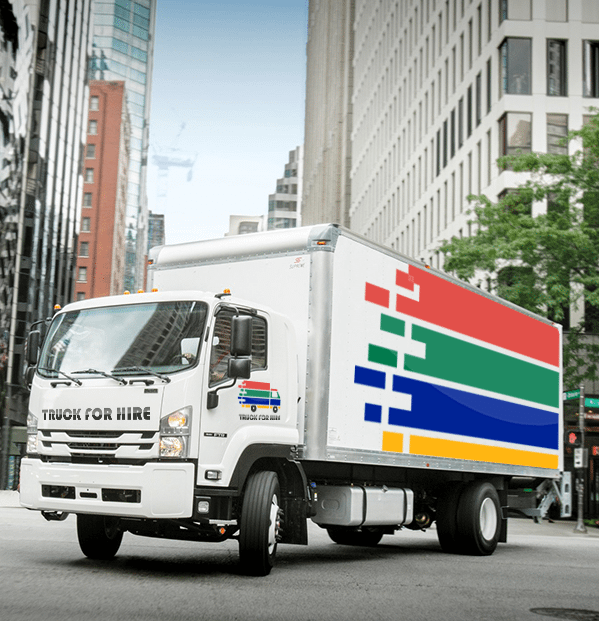 Trucks For Hire offers quick, easy and affordable bakkie, van and truck hire in Johannesburg, Cape Town, Durban, Pretoria and Polokwane. Our vehicles are offered for rental on a daily, weekly or a monthly basis and we offer our valued clients a value-adding staffing solution to ease the burden of using your own recourses of drivers and assistants. In addition, we offer reliable forklift hire in Gauteng. Find out more about our specialised forklift rental service. We understand that time equals money so, allow us to take care of your transportation requirements while you focus on your core business! We stock various truck configurations including Panel Vans (box trucks), Curtain Sides and Drop-sides. We also stock a specialised fleet of Refrigerated, Crane and Tail-lift Trucks. Our bakkie rental fleet includes 1 ton bakkies with the option of a canopy, double cabs, volumetric and super toners. Rentals available on a daily, weekly or a monthly basis. To cater for as many transportation requirements as possible, we also offer passenger and cargo van rentals. We offer 14 and 32 seater and various sized panel vans. Forklift Hire is a specialised service that we offer in Gauteng. Our forklift rental fleet includes a wide range of diesel forklifts with lift capacities that ranges between 1.8 to 4.5 ton.